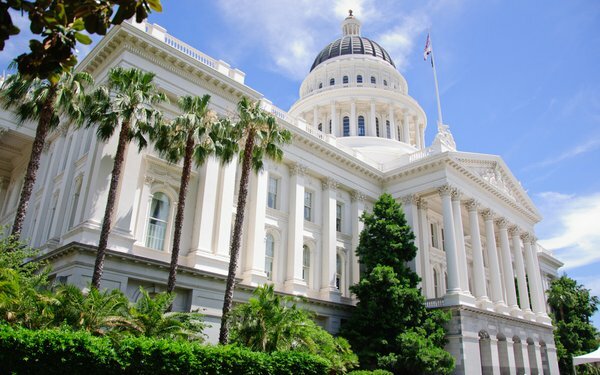 The Association of National Advertisers is asking California's attorney general to “clarify” several aspects of the state's new privacy law by issuing regulations that would make the measure more marketer-friendly. The law, passed last year, allows consumers to learn what personal information about them is held by businesses, and to opt out of the sale of that information. The measure defines personal information broadly, as including data that could be linked to particular consumers or households. State Attorney General Xavier Becerra, who is tasked with developing regulations, is currently holding forums about the law. This week, the ANA's Christopher Oswald, senior vice president of government relations, testified at a forum in San Diego -- the second of six statewide meetings devoted to the law. Oswald urged Becerra's office to address several aspects of the law, including its definition of personal information -- which the ANA says is too broad. The ANA also says it is concerned that ad companies may not have realistic ways to notify consumers of the personal information held about them, or allow them to opt out of the sale of that data. The organization says a company should be able to “rely on assurances” from the data providers that consumers were notified. “If not, the online advertising ecosystem, which involves multiple parties that may not have direct relationships with consumers in order to deliver advertisements, will fall apart,” Oswald stated. California's new law also prohibits companies from charging higher prices to consumers who opt out of data collection and selling. But the measure contains another provision that allows businesses to offer "financial incentives," including cheaper prices, to consumers who allow their data to be collected and sold. The ANA says those provisions are ambiguous enough to pose a threat to loyalty programs -- which typically involve companies giving discounts to consumers who agree to share their data. The ANA is asking Becerra to specify that California's law still allows business to offer loyalty programs. 2 comments about "Ad Industry Asks California AG To 'Clarify' New Privacy Law". Keith Huntoon from LiftEngine, January 16, 2019 at 11:30 a.m. The potential impact of this Act is enormous and extends well beyond the online advertising ecosystem. Virtually all targeted consumer marketing, regardles of channel, will be impacted significantly. Non-profits will be hit hard and even B2B could be hurt indirectly. Frankly, I'm surprised there hasn't been more written about this. Scott Turner from DataLaborTechnology, January 16, 2019 at 1:46 p.m.
An under-reported aspect of the legislation is the 12-month lookback provision, which provides consumers with the right to see what data has been collected from them for the previous 12-months. The clock started ticking on that provision as of January 1, 2019.